AUDREY IS THE BEST. Honestly look no further. I booked her for my engagements, bridals, wedding, reception, and later that month, family pictures! Audrey really is incredible. Unlike a lot of photographers, she never makes the session feel rushed or uncomfortable. It really just feels like you're hanging out with one of your friends. She's super personable and willing to shoot until you feel like you've gotten every single desired shot. When you get the images back, she almost always gives you more than her promised amount, and they're incredible. Her editing style is beautiful and you really do get a lot for what you pay. You will not be sorry if you book her, promise. My whole family is in love with her and I can almost guarantee you will be too. Audrey is fantastic! My original photographer had something come up and had to cancel a few months before my wedding. With no time to readjust my budget, Audrey was willing to work with what I had available. She kept in constant contact in the time leading up to the wedding and also throughout editing afterward. She was great at working alongside the dj to make sure all of the major events were covered, and captured beautiful photos! Her turnaround time is pretty standard 4-6 weeks, but she went above and beyond to send a few photos early for a project I was working on. I would work with Audrey again in a heartbeat! I hate pictures, but Audrey made it fun and did an awesome job, highly recommend! Audrey was such a joy to work with! She did our maternity photos and she did such a wonderful job so we had her do our newborns! She was so easy to work with and made each experience smooth and enjoyable! We love our photos and the sweet memories Audrey captured! Love, love, LOVE Audrey! She is such a wonderful person and really cares about her clients. I really enjoyed working with her; she does such a great job about including her clients in the photos that she takes. She really tries to capture the style of the couple and their personalities. She's really the best! I found Audrey through Facebook. Never met her, but looked at her work, fell in love with it, and hired her for my wedding. Not only is Audrey a great photographer, but she is personal and makes you feel comfortable. She's also very on top of things and continuously keeps in contact with you and responds back immediately if you have any questions or concerns. I would recommend her to anybody and everybody. She's fantastic and too adorable. She totally cares about her clients and wants to make them happy. Audrey does such an amazing job. Our engagements turned out better than expected and I know that she will be our photographer for every big moment that we have! We had several photo shoots with Audrey. 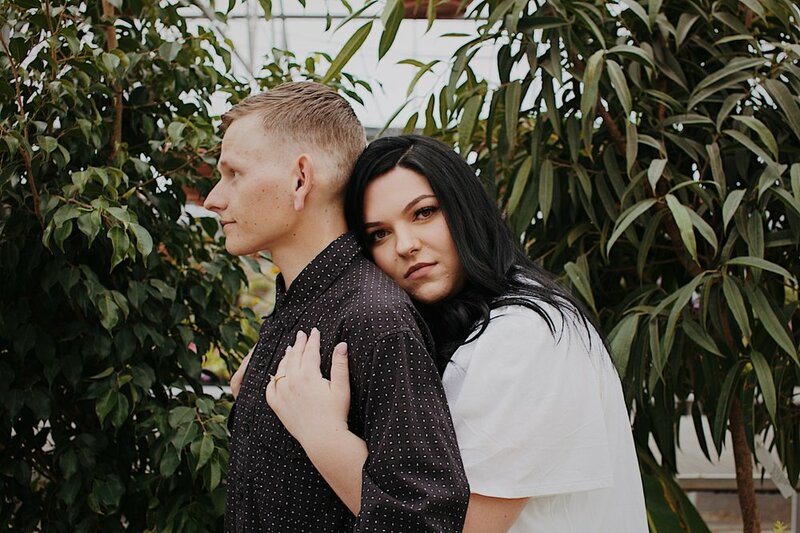 We had our Bridal, engagement, and family photos taken. We loved getting the photos back, and choosing our favorite photos. We loved several of the shots and loved the memories Audrey captured. We can't wait to see what other amazing things Audrey does! I have known Audrey for many years and her photography has always made a lasting impression. I was excited when we were able to make a day and time work considering we live in different states. She was so accommodating and easy to work with. We did our pictures in the snow and she was quick and professional so we could get out of the cold. I am so happy with the way the pictures turned out! Audrey did such a great job on our family pictures! We are not a family that is good about taking pictures and she made it so easy and was super fast! She got our pictures back to us in record timing and they were edited so well! We loved her! Amazing, she made it so easy to have fun during our pictures and all turned out perfect she goes off of what you want and turns it into something amazing. Definitely would recommend for any photos you need! We will be going to her again. Audrey did such an amazing job with our wedding! She captured all of the best moments and was quick about it. She also got us our pictures back in such a short amount of time which we loved. I have friends still waiting for their photos from 4 or 5 months ago and I got them in a month! She's such a sweet person and always makes sure she knows exactly what you want. She makes the day all about you! I would recommend her to anyone and everyone! Kay this girl rocks. Audrey is so sweet and can make anyone feel comfortable in front of a camera! She's also extremely talented and such a fun person to work with! You will not be disappointed! Audrey is an absolute joy to work with!! She is SO talented at what she does and makes you feel like you're her best friend! She has such a beautiful style to her photos. I definitely recommend her to anyone and everyone who needs a photographer! So pleased with the photos Audrey took of my boys! She was patient even when they weren't easy to work with. Love, love, love how the photos turned out!! Audrey did an amazing job with our little couples session!! She made us feel so comfortable and it wasn't awkward at all, she is so personable and friendly! She even worked with our puppy to include him in the pictures which is not easy and she did outstanding! She got our pictures back to us so fast...and they look wonderful! She did worked some pretty gorgeous magic with the lighting and they look stunning. I can't wait to do our next shoot with her!! Audrey is a fantastic photographer, who is understanding and really easy to work with. She is very flexible and was able to fit me in with relatively short notice. I'll definitely use her again in the future. 3 words : unique, professional, flexible. Audrey is an amazing photographer! She has now covered 2 out of my 4 daughters weddings.. and did senior portraits for daughter #3! She captures the essence of whomever she is taking pictures of! Shes so easy to work with. LOVE HER! Audrey was so wonderful! Her prices are great and she gets the photos done and back to you so quickly. She made the shoot so fun and comfortable as well. She makes sure that you come away with exactly what you are looking for. I love all of my pictures! Loved working with Audrey! She is so fun and knows how to make you feel comfortable in front of the camera. I would definitely go to her again. I loved how my pictures turned out and am looking forward to seeing more of her amazing work! I love Audrey! She is so easy to be around! She makes it fun to get your pictures done and you don't feel funny or weird because she makes it easy for you and when you feel comfortable the pictures look amazing! She was so willing to try different spots and walked around everywhere to get the perfect pictures in the perfect lighting! She really cares about how everything turns out and you can tell that she loves what she does!!! Audrey was able to get so many priceless, sweet and amazing (and hilarious) pictures of our family of eight. I am so, so happy with her work. We have the pictures she took hanging all over our house. I HIGHLY recommend Audrey Smith. I'm now thrilled with my daughters senior pictures. There are just too many gorgeous ones to pick from. She really captured her beauty and personality. Audrey Smith takes great photos of people for any occasion. She has been doing it for years now & everyone always loves how their photos turn out in the end. I had Audrey do my senior photos & I'm so glad she did. Audge did such a good job with my mission pictures! She is so talented and we had so much fun! They all turned out so good. If you're looking to get any photos taken go through her! Audrey is amazing, and so talented. She got our engagements, my bridals, and our wedding day photos back in quick but appropriate timing with no issues. It was so hard to pick just a handful of pictures because I loved each one! She takes the time to make sure she captures exactly what you want and will go out of her way to make sure it's exactly to your liking, unlike other photographers who are there to get you in and get you out without your opinion on anything. Her prices are great and the quality of the photos are beautiful! I have nothing but good things to say about her professionalism and hardworking talent! You won't be disappointed with Audrey.